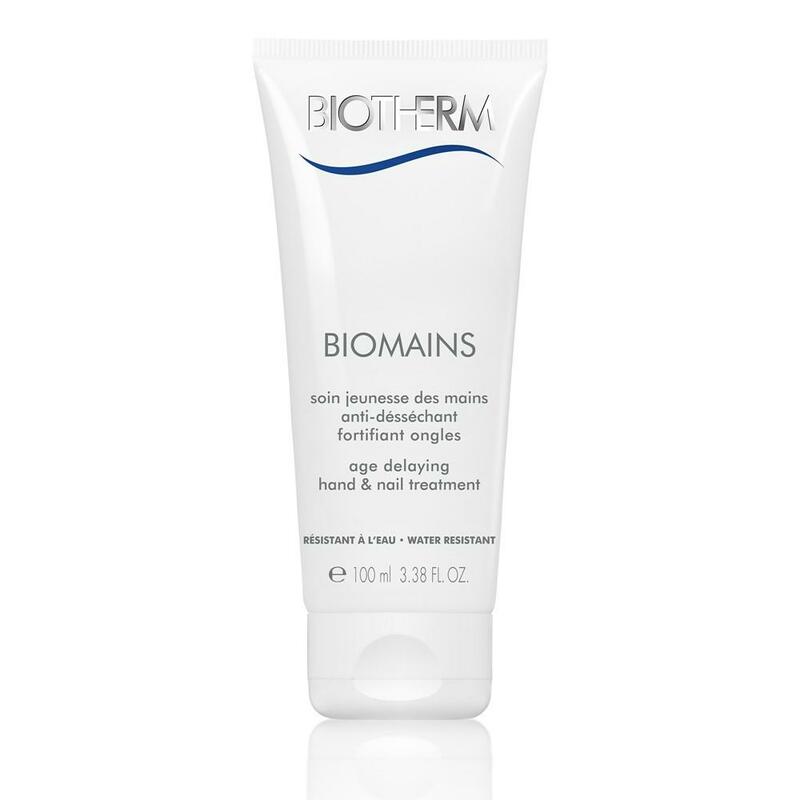 To compensate for skin dryness, protect against premature skin aging and strengthen nails, the Biotherm biologists have created BIOMAINS, an age-delaying hand care treatment. 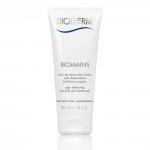 Anti-drying: BIOMAINS restores the skin’s natural protective barrier. With its satin-soft film enriched with algae extracts, hands stay supple, soft and smooth all day (water resistant formula). Nail strengthener: enriched with D. Panthenol, BIOMAINS is a real beauty treatment for nails. Refreshing and velvety, this non-greasy cream absorbs easily.